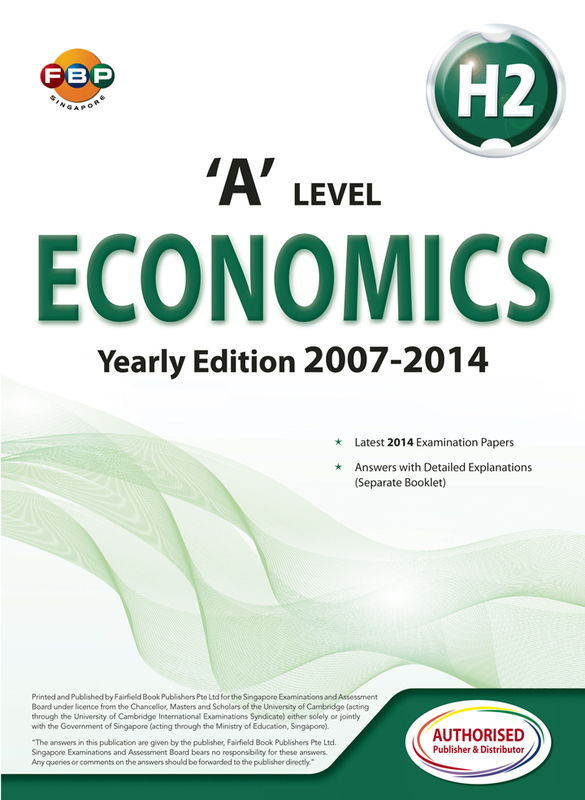 This book serves as a quick guide for students to revise for their Economics examinations. The notes are prepared and designed to help students understand quickly what is required in the syllabus and examination. 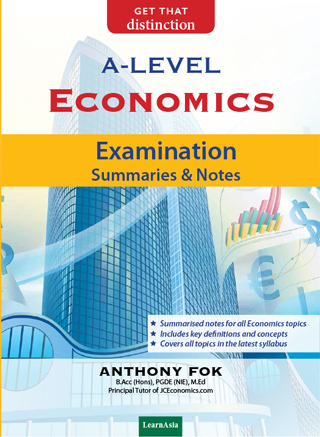 Summarised notes of all key Economics topics in the syllabus for examination revision help students to revise systematically. 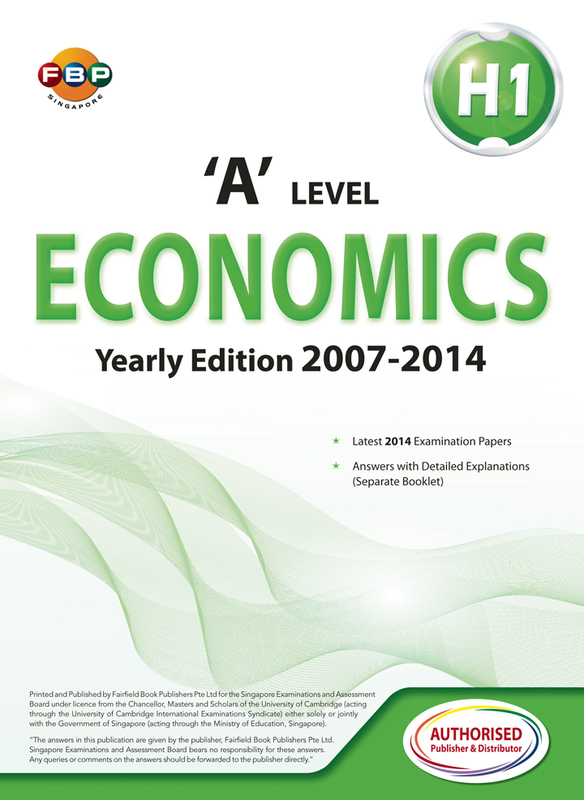 Key definitions and concepts are highlighted for concise and quick revision. 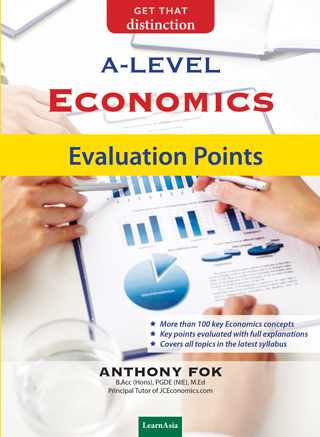 To score a distinction in the examination, it is important to write evaluative comments in your essays. 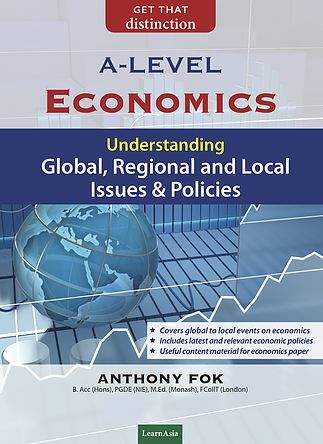 Many students find it challenging to evaluate alternative theoretical explanations and perspectives of economic problems, issues and policy decisions. 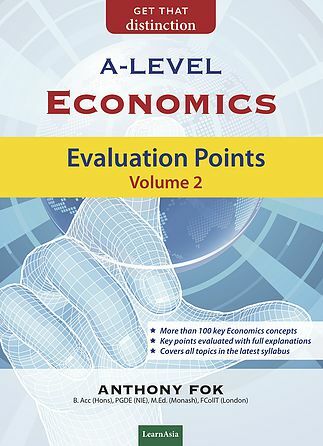 This book addresses this issue and is structured to help students generate possible evaluation points for the theoretical content that they have learnt in school. 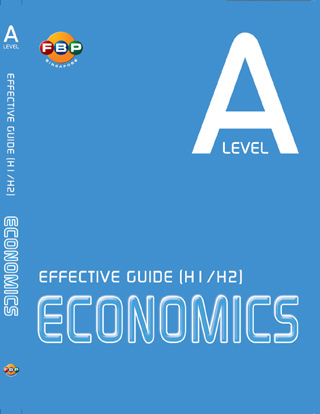 A book designed exclusively to cater to the needs of students sitting for the H1 and H2 GCE ‘A’ level Economics examination. 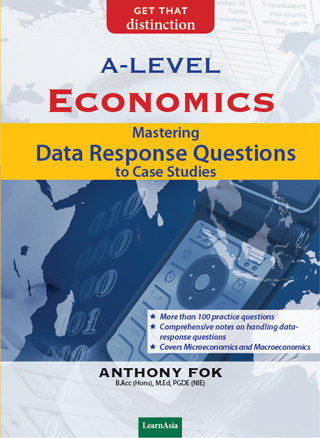 There are 14 complete chapters focusing on key economic concepts that students need to grasp. Comprehensive notes are provided in each chapter. 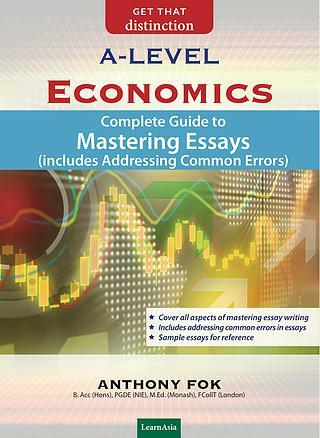 Essay questions are also given at the end of each chapter to gauge their level of understanding. 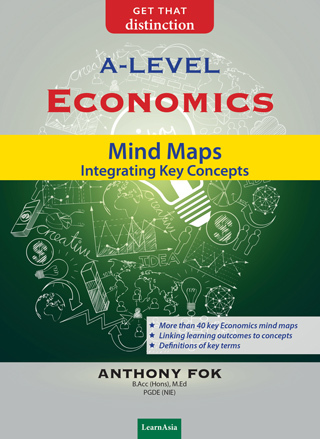 the key points in Economics through the use of mind maps, with a compilation of important definitions and learning objectives to help you in your self-study and reference. Many students find it challenging to reproduce the detailed diagrams required and apply them appropriately. 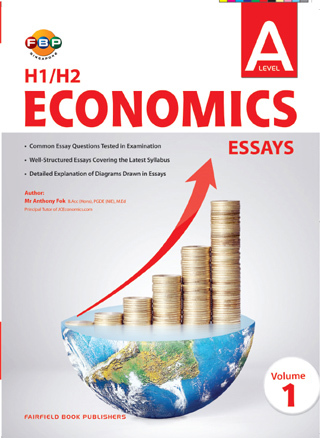 In this guidebook, key diagrams in the Economics syllabus are collated and presented under their respective topics and explanations are clearly given, including detailed explanations to help you link the topics to the diagrams for a more holistic understanding of each topic. 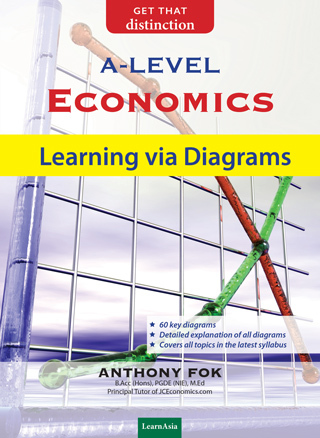 This guidebook is written to prepare students in analysing and interpreting data in the form of tables, charts and graphs in the GCE A-Level Economics examination. 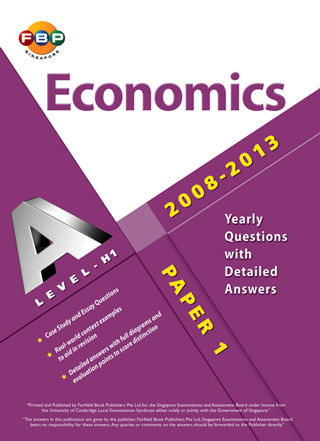 The case-study paper in the examination usually consists of tables, graphs and charts that students need to learn how to read, analyse and interpret. The questions and suggested solutions are specially developed to help students to improve these skills. 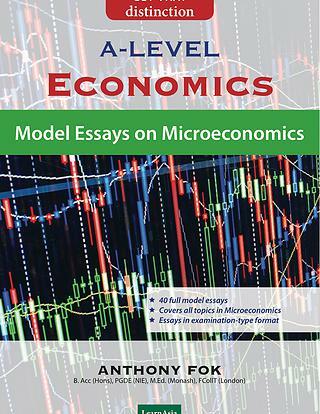 The model essays on Microeconomics in this book serve as a guide to aid their revision on the types of essays they can present to help them score well in the examination. 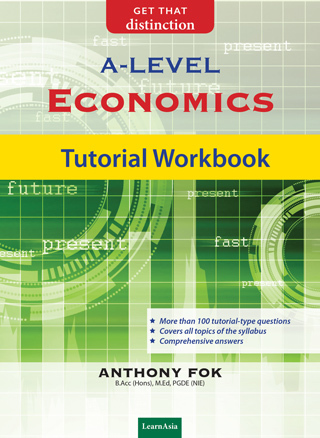 This Tutorial Workbook is written specially to help students develop their understanding of Economics and to build up skills to enable them to assess their own progress. There are structured questions, multiple-choice questions and fill-in-the-blanks questions to help students track their understanding of the subject. This book aims to improve students’skills in answering structured questions with an emphasis to hone their higher-order thinking skills. 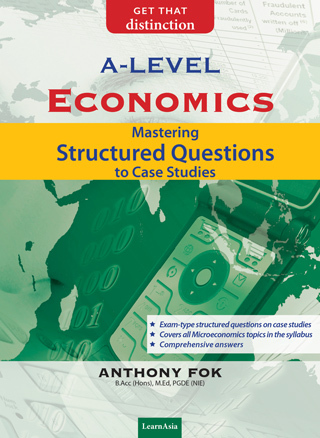 It focuses on the case-study component of the A-Level Economics examination and consists of both Microeconomics and Macroeconomics questions as well as model solutions that have been specially developed for this purpose. 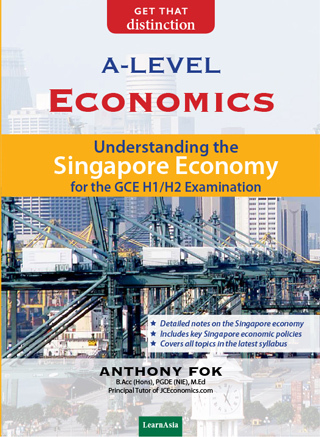 Many candidates find it difficult to apply Economics concepts and principles learnt in school in the Singapore context. 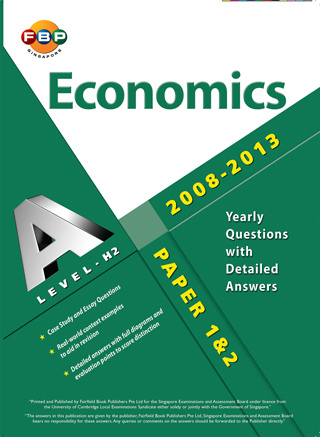 It is essential that students are able to contextualise their essays based on the requirements of each essay question. 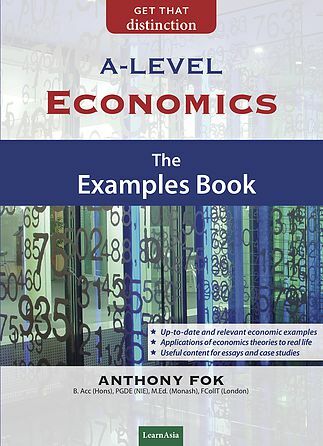 This compilation of examples and policies in the Singapore context is compiled for you to cut short your learning curve and apply these examples directly. Remarks: Available at all major bookstores in Singapore and Malaysia from June 2016.